Changes to OOB ( Out of Bounds) & Hazard areas & makings. 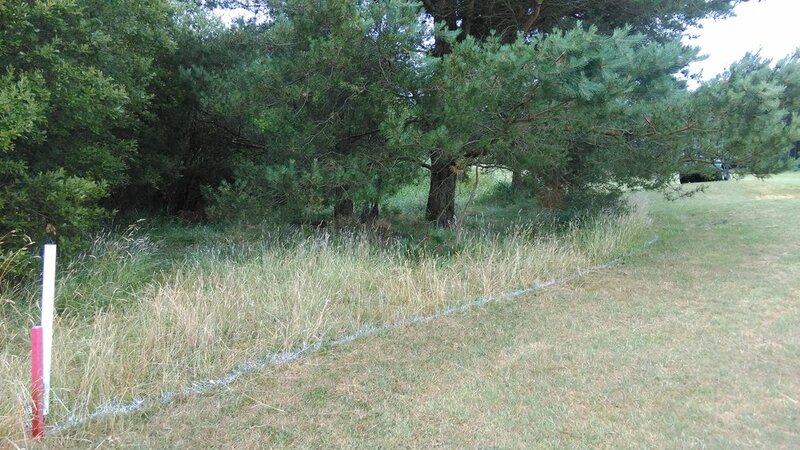 Please note that with last weeks Professional Event leading up to the forthcoming Euro-Pro Tour event the PGA implemented changes to the course re-defining Out of Bounds and Hazard areas which due to the nature of our course have always been difficult to clearly define. Stakes have been bought forward in many places to the front edge of the heavy rough. The result of this, whilst enabling clearer marking and defining of OOB and hazard boundaries is that it will bring these areas more into play, particularly given the current dry and hard ground conditions adding to potentially abnormal run and bounce. To avoid confusion with painted lines in place, Committee has decided to leave the repositioned stakes and hazard lines as they are at present. The following are an example of some of the areas likely to impact golfers more and as such are being bought to your attention. 9th Hole note the Out of Bounds line along the lake side of the fairway is now tight at the edge of the long rough and imediately at the rear edge of the 1st fairway bunker. This extends the length of the hole and around the back of the green to the pathway to the 10th. 15th Hole: Note in particular that the OOB area previously deep at the back of Lateral Hazard pond has been bouught forward to adjoin with the last Red stake at he Pond and as such the bushland area and pine tree pertruding out towards the bunker and fairway is now Out of Bounds. 16th Hole: Note the OOB line has been bought in tight with the start of the long rough extending the length of the lake to the rear of the green. 17th Hole: Note any shot hit left of the lefthand side fairway bunker is more than likely to be OOB.